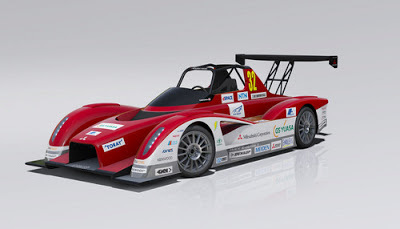 Mitsubishi has just announced entry into the 2013 Pikes Peak International Hill Climb with two all-new MiEV Evolution II electric race cars. The team is also expressing an intention to win outright. All three entries are race cars with 400 kilowatt drive trains, and in each case the teams say they're looking to win outright. Hiroshi Masuoka began his Dakar Rally campaign in 1987 and became the first Japanese driver to post consecutive overall victories in the event when he won in 2002 and 2003. Currently, Masuoka works at Mitsubishi Motors Corporation (MMC) where his many duties include vehicle development, training MMC test drivers, and running test drive sessions and other events both in Japan and overseas. "We are able to tackle Pikes Peak a second time thanks to the support of our many partner companies. We were able to come up with a new and improved MiEV Evolution II based on the precious data and know-how we gained from last year's race. We welcome Greg Tracy as our teammate. With his wealth of motorsport experience, we will give it our all for a one-two finish. Thank you for your continued support!," says Masuoka. A six-time PPIHC overall motorcycle champion, Tracy placed second overall in motorcycles in 2012. Tracy brings a wealth of racing experience not only in motorcycles but four-wheeled vehicles as well, and is also a professional stunt driver. As a Hot Wheels Team Green Driver, he achieved the Guinness World Record for completing the Double Loop Dare at XGames in 2012.